- 14th May at The Green Man in Winchester. We are planning to start at 19:30 after drinks and starters from 19:00.- Please email hannah: hannah.sinclair1@nhs.net if you would like to attend. This is a great opportunity to find out about the various fellowships in Wessex and ask questions. The food order needs to be in by next week so please let me know if you want to come and I will send you the menu. 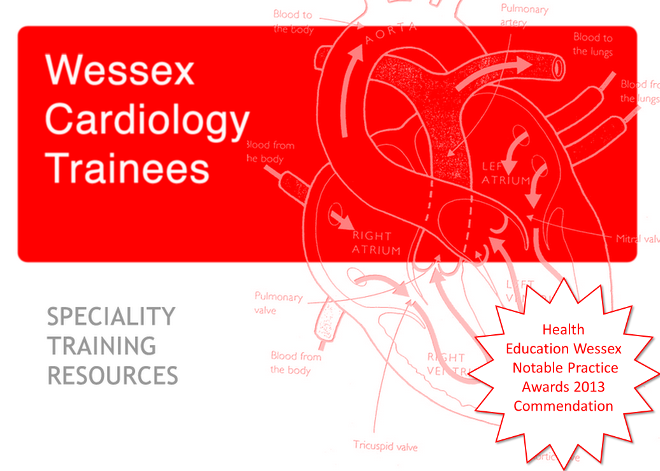 - Basingstoke on the 8th of May on Endocarditis, please email Jonathan (jwh204@hotmail.co.uk).- BCS national training day Mon 3rd June. Conference registration is now open.- Portsmouth on the 17th July on arrhythmias, ECGs and device programming, please email Hannah. It is now just under six weeks until the coronary training day at UHS on the 1st of April. Thanks so much to those who have already contacted me to sign up. The day is free and we have an excellent group of speakers, click here for the provisional program. If you'd like to come please email me (jwh20485@gmail.com) as soon as possible so we can ensure we have the right amount of food! Also the BJCA survey is now live. This really helps the BJCA to get an idea of what is working well and what needs improving, it would be great if everyone could find the few minutes it takes to complete it. To further encourage you to complete the survey, the BJCA are offering free ESC registration to a lucky few . Click here to access the survey. The STC meeting (where all the training leads in the region meet to discuss our training) is coming up on the 1st of March, if there are any issues you'd like us to raise please contact me (jwh20485@gmail.com). St Bart’s cardiac anaesthetic department 3 day 3D TOE course aimed at cardiology registrars/ cardiologists/cardiac anaesthetists that are competent in 2D TOE but have little or no 3D TOE experience. There are 4 places left. The course is planned for 18-20 March and the costs is £250 per day. EPIQ CVx ultrasound systems will be used. Please let us know if there are any other courses you want to share with fellow registrars. Please also feel free to post @WessexSpRs on Twitter. ****** Anyone doing the EEGC this year this is the course not to miss. Online registration opens on the 18th February 2019. In previous years this has filled up incredibly quickly. This is FREE to BJCA members and is a whole weekend of revision lectures, food and accommodation. Not to be missed if you are doing the EEGC this year. Pre-meeting Study Day – 15th May 2019 Introduction to Cardiac CT with 50 cases, cost £25. For details click here. Coronary training is fast approaching. Please arrange study leave and please let Jonathan know if you want to attend (jwh20485@gmail.com). Anyone interested in a complex coronary intervention meeting click here.